These Animals Have A Blast! 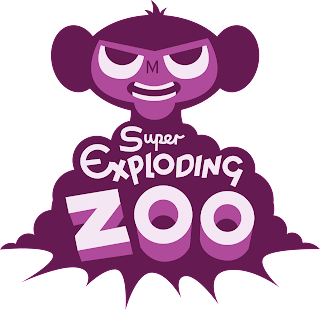 Super Exploding Zoo. That name alone should tell you just how nuts this game is. 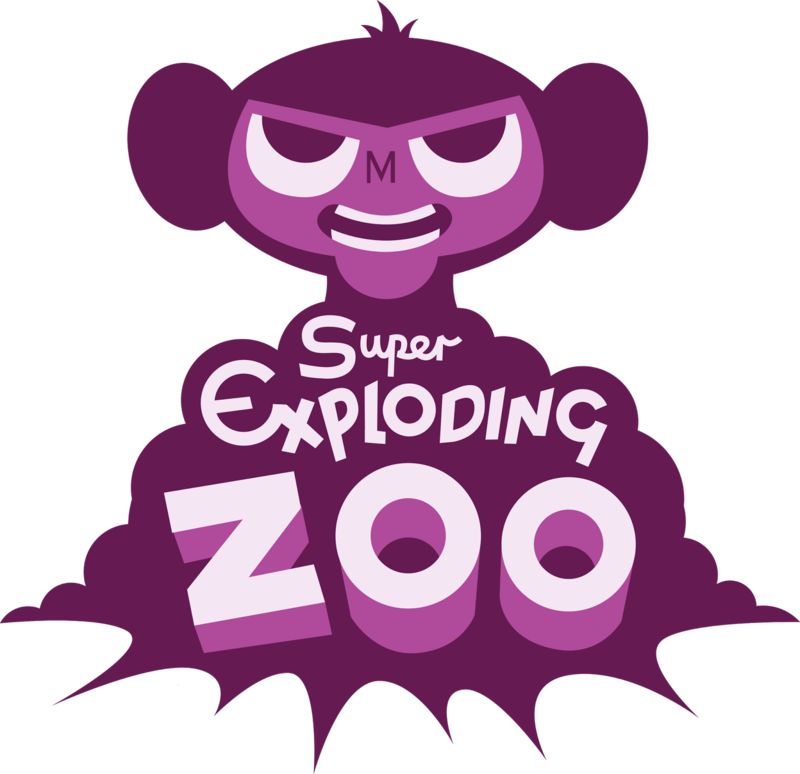 You play as the animals of the Super Exploding Zoo, everything in this zoo is rigged to blow.... including the animals. So when aliens decided to show up and try to eat their eggs, they were in for a nasty surprise. 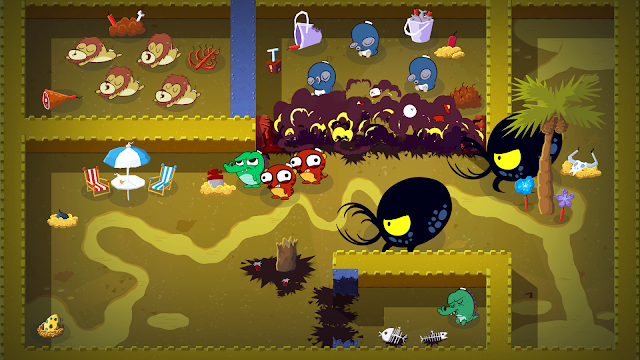 The gameplay in Super Exploding Zoo is best described as a tower defense. I mean that in the loosest possible sense. 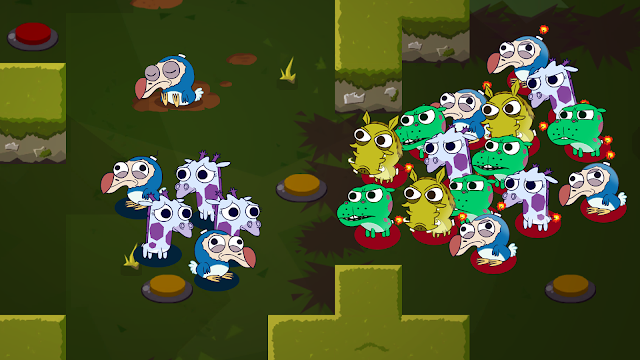 You have an egg to defend and there is occasionally podiums you can put animals on to attack the aliens from. That's where the tower defense similarities stop though. 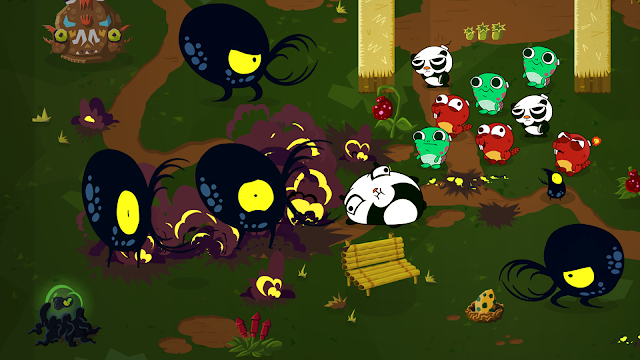 Most of the game you will spend running around the level waking up fellow zoo mates to help stop the evil aliens. There is a wide variety of animals each with their own set of skills to help clear the map of the invaders. The game does a really good job of spacing out the introductions of the new animal types as well. It constantly manages to keep the gameplay fresh. For example, the game has 80 levels and a new animal type is introduced to you at level 71. The whole game is fun from the minute you enter the first level to the moment the credits roll. The means you which you eliminate the aliens is blowing your animals up on them. This is easier said then done. A lot of the time you will have to think very carefully about where you use up which animal and you need to think fast before your egg becomes alien food. 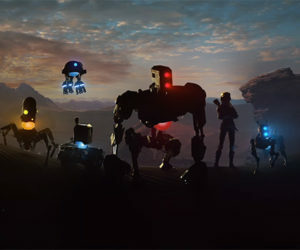 The game has a lot of hidden depth and once you figure it out it is really satisfying to play. The graphics aren't anything special but the animals are a perfect mix of cute and crazy looking which just adds the the hilarious charm of the game. The cry each animal lets out too also fits this bill perfectly. The campaign is somewhat short though and you will probably plough through all 80 levels in 3-4 hours. Once you finish that however there is an online versus mode. Yes that's right.... Online Versus! That may sound utterly absurd but it is also surprisingly fun. You play 1 on 1 games and you each start with 1 animal. You must gather up other animals around the map and blow up the other players animals with them. It's hilarious to play with a friend and laughs will be had by both of you. Overall Super Exploding Zoo is a stupid game on the face of it that most will dismiss without giving it a second thought. But if you decide to look past its appearance you will see that that is has a lot of hidden depth and a lot of fun and laughter to be had. The only knock against the game is the short campaign. For the asking price it's not the worst value for money but I do feel there should have been another area or 2 to play through. What I Played: Played through all 80 levels in about 3 1/2 hours. Also spent about 30 minutes messing around in various online matches.